Guess who Ravi's bringing to dinner? 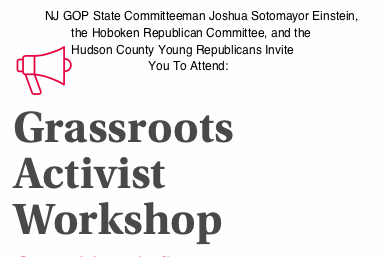 Or, can you guess which major Hoboken board Mayor Ravi Bhalla has plans to install a race-baiting, anti-Semitic bomb-thrower? Update: The correct board for Ravi Bhalla's appointment is the Rent Leveling & Stabilization Board. What will councilmembers Jim Doyle and Emily Jabbour do? April 2014 meeting transcript, HHA. In attendance, this editor was thrown out for politely protesting behavior at this same meeting. This is the actual unedited transcript of what transpired featuring current Hoboken Housing Authority Chair and former councilman Dave Mello and Patty Waiters. Waiters: "--and I'm going to do the right thing, okay -- but I'm going to do the right thing, not the white thing. I want you to know it..."
Waiters: "They got three new people to take those seats, Jewish, of course, okay, and those not race baited because they pulled you all from Morris County." Dave Mello: "Show us some respect." Waiters: "I don't have to respect you, because you are not respecting us." Mello: "I don't appreciate anti-Semitism." Waiters: "... I don't care." Mello: "an employee (of) an Assemblyman of the State of New Jersey (Carmelo Garcia) should not be making in public anti-Semitic comments..."
Waiters: "Do the work. Do your facts. Go check and everybody is going through the contract, and tell me if everybody she hires is not Jewish." Waiters: "Yes or no? Yes or no?" Mello: "I resent your anti-Semitic comments--"
Waiters: "-- stop it already because---"
Confirmed: While Ravi Bhalla's office remained mum on this story and request for comment, the Hobokenhorse story is confirmed. Ravi Bhalla is seeking to appoint Patricia Waiters to a Hoboken board - Rent Leveling! Hobokenhorse court sources indicate the City of Hoboken deal for a Hilton Hotel announced with much pomp and astroturf is not moving forward based on a legal challenge, at least for now. Hudson Superior Court yesterday declined to dismiss a lawsuit that sprang up after Mayor Ravi Bhalla announced the deal before his construction union allies, media and residents last fall. to date is blocked in Hudson Superior Court. The court ruled the lawsuit against it moves forward. The court cited the "risk of bad faith... in exacting off-tract contributions from redevelopers is too great" in denying the motion. Ravi Bhalla had increased the size of the originally proposed downtown hotel by 20% in exchange for him doling out monies to select Hoboken organizations. A new Hoboken community center at the site of the former Y was designated to receive a million and the district schools two million. 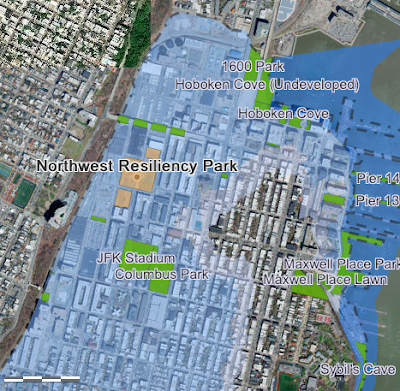 The Hoboken City Council intervened to extract additional funding to over four million. That deal originally was set with those payments three years after completion of a Hilton Hotel but with the court ruling, the entire deal is in jeopardy. Late November, a group of developers cited favoritism by Bhalla as a motivating factor in filing a lawsuit against his Hilton Hotel deal. Update: The City of Hoboken confirms this story admitting it lost its attempt to see the lawsuit against the Hilton Hotel deal dismissed yesterday. Ravi Bhalla states the "City will ultimately prevail" against Hoboken Land Building, L.P. and Hoboken Holdings, L.P. This website has a way of forcing the truth out. Related: The Hudson County View weighed in with this story. 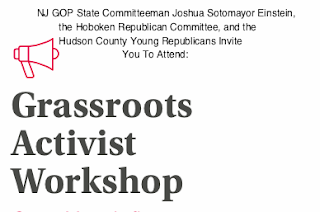 With one Smollett hoax distraction relegated to the bowels of Crooked County, Illinois and the Russia Collusion Hoax undone, attention if scant may return to Hoboken's emerging budget problems. Hoboken faces a 2.5% tax increase, a dwindling surplus, and plummetting parking revenue stream. Mayor Ravi Bhalla is aware of the details but isn't sharing any of the numbers in the rolled back parking revenues. By doing so, he's hiding built-in red ink. But he's been busy taking photos with Cory Booker who is now on the lengthy list of those seeking the Democrat nomination for president. The City Council requested more effort to get an accurate picture with what a rollback from the brief but highly detested price gouging at the parking meters means. So far, the mayor and business administrator are holding fast to saying nothing and equally disheartening, doing nothing. Hoboken is being set up for more red ink and will see an unknown reduction in parking revenue. Tonight the City Council will hold a special meeting requested by Ravi Bhalla. He wants the City Council to introduce his less than forthright budget. He wants them to take ownership for the mess he's creating and the tax increase he's delivering. Meanwhile, the Hoboken budget is ticking away like a time bomb not seen in more than a decade prior to Dawn Zimmer's fiscal restraint and stewardship to produce honest budgeting. That like those principles central to the tenets of the Reform Movement have been decapitated. Updated: The City Council introduced Ravi Bhalla's budget with zero changes. All the inherent problems remain. Now does the council have the will to do anything other than watch the car crash? MSV is clearing a copy of the Mueller Report, with classified details edited out earlier. It's apparently voluminous so it's going to require legal review/approval before publishing. Roger Stone did not coordinate with WikiLeaks or contacts there. 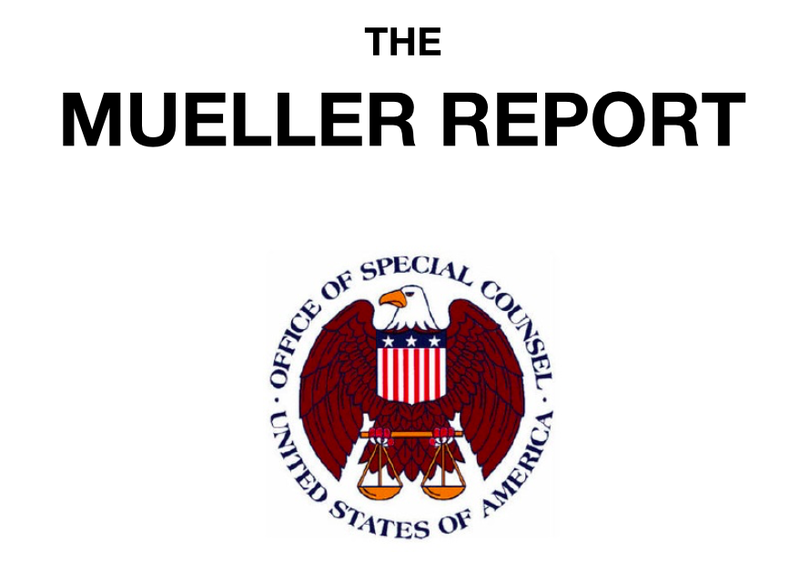 Most of the investigation was focused on building an obstruction case, not collusion. UPDATE: The NJ Senate called off the vote as it lacked a majority required for passage. There will be no marijuana legalization bill passed in 2019. A vote on marijuana is scheduled today in the NJ Assembly and Governor Phil Murphy is waiting like others to see what the outcome is. In NJ, the legalization push about marijuana is positioned as a civil rights matter beneficial to minority residents. The true motive, however, is not surprisingly about lining the pockets of some and tossing all cares to the wind. The push for commercial profit is so ridiculous that Mayor Ravi Bhalla tried to get the Hoboken City Council to approve three marijuana businesses in the Mile Square City last December even before any legalization of weed passed in Trenton. 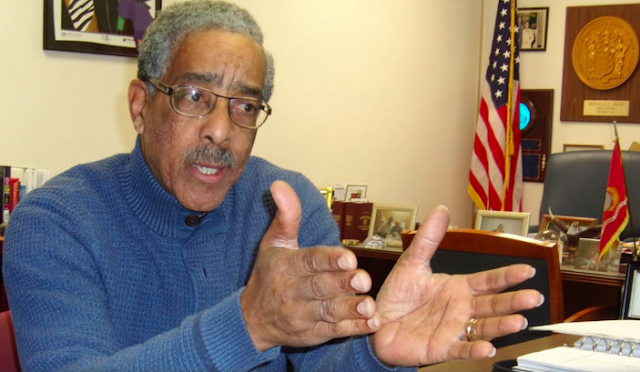 Now NJ State Senator Ron Rice is blowing the whistle on the dangers to NJ urban environments and the devastating consequences for the minority community. He notes the differences to Colorado where legalization occurred and the impact that will be felt here would be even more negative. Today you probably received a letter from former Assemblyman Scott Rudder, who is now a business person pushing for the legalization of recreational marijuana. He indicated he’s a former mayor and legislator. As I recall, during his tenure in the legislature he was not as much concerned about the issue of, “social justice,” for black and brown people as he alleged he is today as a business person. I am currently a legislator, a former councilman, and former deputy mayor representing the largest city in the state, who served during Scott Rudders tenure as an assemblyman. What the former assemblyman failed to tell you in his communications to us is some of the negative impacts that legalizing recreational marijuana would have on people in communities particularly urban communities and those suburban communities that border the urban communities. This week has been intense as you may have seen if you TUNED IN to the beginning or read any of the press coverage of our City Council meeting Wednesday night. The cause? Parking, Taxes and Politics. Asked Mayor Bhalla to revisit his 2019 Municipal Budget taking into consideration the parking revenue changes before the Council introduces it. A number of people have reached out trying to understand what the heck happened and why and how including why I voted the way I did. And I will address this below in more detail (grab a drink...), but first, I want to give you my views on Dynamic Parking and our 2019 Budget. I was one of the four ‘No’ votes on the Dynamic Parking ordinance approved in November. That said, I support raising prices for metered parking in our business districts to incentive turnover to support our businesses, just not so high and not so quickly. Tell me what you think of just raising it to say $2 in the CBD? I voted ‘No’ originally also because I felt there was no transparency around the use of revenues, not enough consideration of the impacts to our residents and local businesses, and no roll out plan other than a Nixle alert. I voted ‘Yes’ on the repeal last night for reasons below but mainly because it was the better of two alternatives being considered. I will work with everyone on a new pricing plan that supports our businesses and the city’s financial needs, and not penalize our residents. Some additional color underpinning my view: I work closely with our businesses as a member of our Special Improvement District steering committee and I can tell you the businesses broadly support pricing changes to affect turnover, but where they are divided is on price. Smaller businesses feeling most impacted by higher prices. I am concerned. The Mayor’s proposed budget showed a 2.5% increase in the tax levy after depleting the City’s rainy day fund/surplus by $5M in 2018 with a real possibility of seeing this happen again in 2019. And if that were to happen, we may have an insolvent parking utility and a low surplus that will impact our AA credit rating and ability to borrow at low rates. Parking revenues from the Dynamic Pricing were to be a major source of putting that "borrowed" surplus back. I am hopeful the Mayor and the Administration will come back with more cuts and a plan for parking revenues that works. DYNAMIC PRICING goes into effect with 100-360% meter pricing increases. More residents and businesses complain about the increases than support them (I experienced this as well). A Hoboken resident/friend of Councilman Russo attends the City Council meeting and uses profanity toward him about his sponsoring of Dynamic Pricing ordinance and how the new parking rates significantly burden residents. The Finance Subcommittee that I have Chaired for four years meets to review the Mayor’s draft 2019 Municipal budget showing ~2.5% increase in tax levy, and borrowing/depletion of $5M surplus (~10% of tax levy) for budget gap with future parking revenues as a primary source to replenish the surplus. Mayor Bhalla distributes his 2019 Municipal Budget to the City Council and puts on CITY COUNCIL AGENDA; substantively the same as draft shown to Finance Subcommittee (foreshadowing reminder, the budget is heavily reliant on parking revenue increases…). City Council Agenda is published with no amendment relating to Dynamic Parking. Mayor uses city Nixle alert system to send out A POLITICAL MESSAGE ON DYNAMIC PARKING (Nixlegate has apparently returned) saying he met with Councilman Russo and supports his proposed amendment to roll back the pricing increases in the Dynamic Pricing ordinance. In the same Nixle, he supports a NEW provision allowing Hoboken residents to park for FREE for 4 hours in our Central Business District (note: residents park for free in meters in the rest of Hoboken). Concerned about the impact on the budget, both Council President Giattino and I emailed the Administration asking about the impact the Mayor’s reversal on Dynamic Pricing would have on the budget and ability to regenerate surplus. Council members begin responding to the proposed Russo / Bhalla amendment – questioning the implications on budget, on businesses, etc. 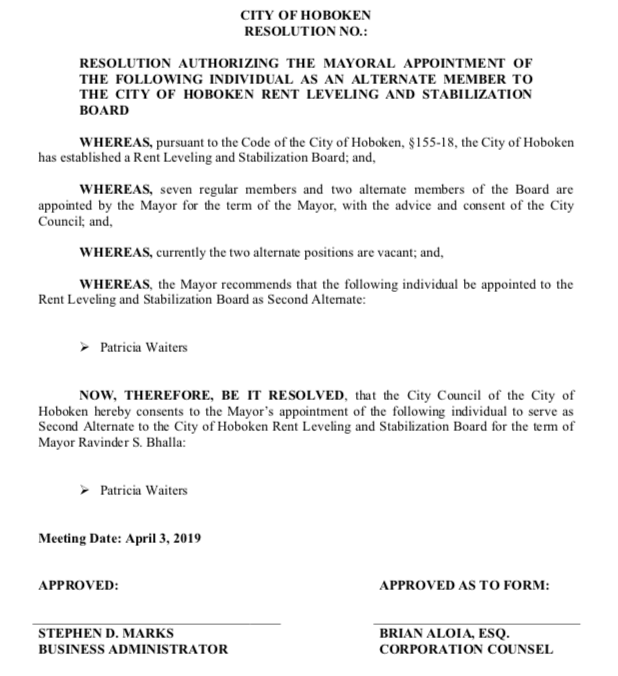 Wednesday, March 20th – the day of council meeting. Growing concerns about the 4-hour free resident parking provision that is considered "anti-business" in the Russo / Bhalla amendment lead to discussions of proposing an alternative ordinance in case Councilman Russo is declined a compromise to remove that provision. 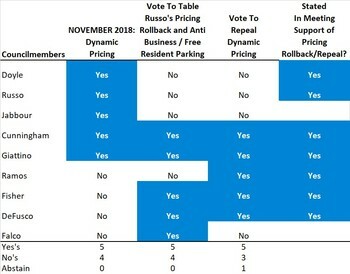 THIS IS CRITICAL: THE ONLY ALTERNATIVE THAT WOULD GET AT LEAST 5 VOTES and shift votes from Russo / Bhalla amendment with the anti-business provision was a full repeal of the Dynamic Pricing alone, without the anti-business/free parking. Council asks questions / expresses concerns about surplus depletion and regeneration and reliance on parking revenues. Council suspends vote on introducing budget until a discussion and vote regarding Dynamic Parking. Council receives Russo / Bhalla ordinance for the first time and Russo presents roll back of pricing, no change in timing of meters, and 4 hours free parking for residents in CBD. Cunningham, Giattino and I ask Russo if we can remove the free parking, Cunningham offers a compromise to 15 minutes free. Russo declines and wants to vote. Cunningham makes a motion to table the Russo / Bhalla amendment and gets the necessary five votes to do so. I introduce the “alternative ordinance” to repeal the Dynamic Pricing and it receives the necessary five votes to pass on first reading. 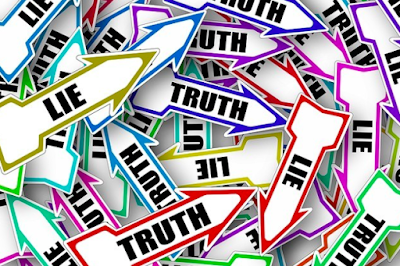 Back to the Budget… with Mayor Bhalla's reversal on parking meter pricing increases and most of the Council now agreeing to this, the question is: what are the impacts on the Mayor’s 2019 Budget? So we asked that the Mayor / Administration take the budget back, revisit and come back to the City Council for introduction next week with reduced costs, and plans for parking revenues and surplus regeneration. Since sent to thousands of residents in Hoboken, it has now been removed from the City's website but remains on the Nixle site. I reached out to the Mayor, Business Administrator Marks, and Finance Director Landolfi expressing my concern with the budget and asking additional information about projected surplus levels/depletion be provided when the Mayor re-introduces his next budget. What’s next? 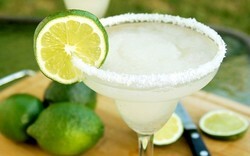 A margarita, some sleep and then round two next week. But seriously, the Mayor has called a special meeting to re-introduce his budget on Wednesday, March 27th at 6pm. I am hopeful the next version will be one that the City Council will feel is sustainable and vote 'Yes' to introduce. And we will begin budget hearings as soon after the Council introduces the budget. Regarding parking? We will vote on the second reading of the repeal at the council meeting on April 3rd. If you are as bothered as you know I am about the use of Nixle by the mayor’s office for political purposes, please email the Mayor and tell him and cc: me and other council members. It wasn’t just the two Nixle’s referenced above, it was also the NIXLE SENT TODAY about the Northwest Park and Union Dry Dock. No real update other than some promotion for the Mayor. If any of you are interested in starting an online petition about this… I certainly wouldn’t oppose… Remember, Nixle told the City that Nixle CANNOT BE USED FOR POLITICAL PURPOSES and said they would get more involved if the problem was “systemic.” So let's keep track together. In an official Nixle release late this afternoon, the Ravi Bhalla Administration issued another fabricated political release abusing the public. In just over a year, the Hoboken mayor is becoming a legendary liar! This latest lie, however, breaks new ground letting the cat out of the bag on two fronts. First, the Ravi-Russo Alliance denied officially but obvious to observers last night is followed with Twilight Zone congratulations for an event that never occurred! Then today, Mayor Ravi Bhalla thanked the City Council for passing Councilman Michael Russo's ordinance retreating on dynamic price gouging on the Hoboken parking meters. There's one big problem. It never happened. As reported earlier, Michael Russo's ordinance on parking meters was vigorously debated and then summarily tabled by the City Council. A rollback of the hated dynamic pricing on parking meters introduced by Councilwoman Tiffanie Fisher was narrowly passed in a 5-3-1 vote. City Council President Jen Giattino and others admonished Russo for being irresponsible in his proposed ordinance calling for 4 hours of free parking for residents on Washington St. and the Hoboken business district. She pointed to the dozens of closed storefronts saying business had suffered enough. Back to the latest out of the hyper-politically driven mayor's office. Note the Big Lie in this official Nixle release right out of the gate! Dear "We hate informed Hobokenhorse informed readers,"
I thank the City Council for adopting the proposal by chair of the Council transportation sub-committee, Michael Russo, and my office to roll back the dynamic parking policies in Hoboken. The feedback from the public has been valuable as we pause to identify the best ways to help improve parking for residents, visitors and business employees alike. We look forward to working with the community as we develop parking policies that are fair and increase turnover. I ask the Council to finalize the adoption of this proposal at the next Council meeting on second reading. At the next Council meeting, I also urge the Council to officially accept introduction of the 2019 fiscal year budget presented by my office. I look forward to working with the Council as we finalize a responsible budget that once again holds the line on taxes and funds valuable City services. Now the FacePunchers in the mayor's office are facepunching the Hoboken public! Someone has to put a stop to this. 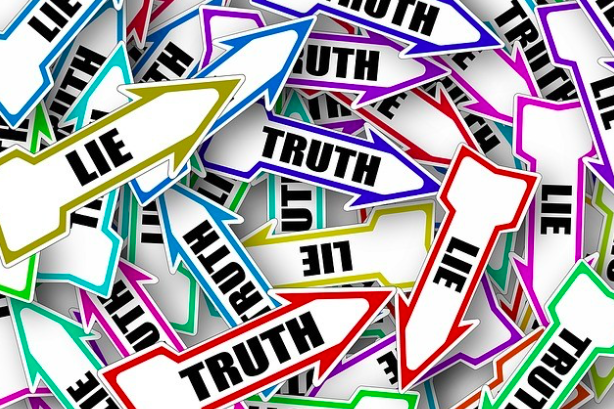 Talking Ed Note: The mayor's office was contacted earlier asking who decided to elevate the Ravi-Russo Alliance above the truth and use Nixle to lie to the Hoboken public that Michael Russo's ordinance was passed by the City Council last night. Clearly, there's too much money being wasted in the mayor's office. Now the FacePunchers are facepunching the public! There's some good news in this abuse of public resources. At least it's not another Ravi Terror Flyer. Last night the Hoboken City Council pulled Mayor Ravi Bhalla’s proposed municipal budget off the agenda following the Mayor backing away from his controversial parking rate increases. The proposed budget includes $1.2 million in anticipated revenues from the rate increases, and now that the plan has been scuttled that loss of revenue adds to an existing $1.7 million potential budget hole for a total shortfall of $2.9 million. At a time when the city is experiencing significant ratable growth that should make any increase in taxes unnecessary, the Bhalla administration's mismanagement and overspending is now threatening Hoboken taxpayers with a significant increase. Response to Mayor Bhalla’s 2019 budget and anti-business parking proposal – try again. On Monday, Mayor Bhalla delivered his 2019 Municipal Budget to the Hoboken City Council. The budget included a 2.5% increase in appropriations and relied heavily on future parking revenue increases from his recently proposed Dynamic Pricing parking meter plan. But then, just a day later on Tuesday, Mayor Bhalla publicly announced his support for undoing the same parking meter increases that helped fund his 2019 budget. Creating uncertainties about underfunding and lack of confidence in the draft budget, this led the Hoboken City Council to choose not to introduce the budget at its council meeting last night, but rather asking the administration to take another stab at their proposed budget. “Given the radical changes they proposed that would impact parking revenue, the Administration clearly needs more time to reconcile their policy views with their budget and we want to help give them that time. We want to see the Mayor sharpen his pencil in terms of cost-cutting and provide more transparency about how he plans to replenish the city’s rainy day fund (surplus) that has been depleted by almost $5 million.” Councilwoman Tiffanie Fisher, Chair of the Revenue, Finance and Infrastructure subcommittee. The Mayor’s reversal on the dynamic pricing came in response to significant pushback from residents. However, his and Councilman Russo’s response was a proposed ordinance repealing the rate increases that also came with a concerning anti-business provision: allowing Hoboken residents to take up critical parking spaces in Hoboken’s central business district for free, for four hours. When Councilman Russo refused to remove this anti-business provision when asked by his council colleagues, Councilwoman Fisher introduced, and the City Council approved, a parallel ordinance which also repealed the prior parking rate increases leaving unchanged the free parking for residents citywide except at meters in certain business areas. Last night, the best-laid plans of mice and men were upended. The Hoboken public wins with their united opposition to the drastic parking meter hikes. 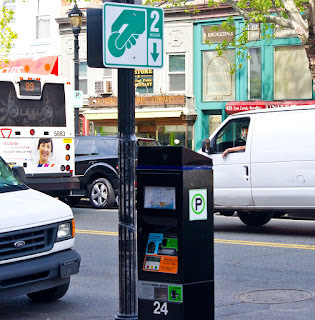 In the end, the process to undo the recent Bhalla Administration hikes on parking meters with dynamic pricing passed narrowly as the City Council begins to roll back that recent action. Councilwoman Tiffanie Fisher introduced an ordinance to roll back the Bhalla Administration dynamic parking meter hikes. Her ordinance passed narrowly 5-3-1 after a competing version from Councilman Michael Russo was tabled amid heated debate. It's the first step in the process to find a better balance in costs and availability the council will revisit. The Ravi-Russo Alliance took it on the chin and found itself fully exposed in the process. There's a lot more to all this with a toxic mixture of policy and politics. Councilman Jim Doyle, a former Reform backer under Mayor Dawn Zimmer announced he would support a rollback to dynamic parking meter pricing. Until he didn't and voted no to Fisher's rollback. Voting yes: Councilmembers Peter Cunningham, Tiffanie Fisher, Ruben Ramos, Mike DeFusco and City Council President Jen Giattino. Voting no: Jim Doyle, Michael Russo, Vanessa Falco. It appears the fourth vote is another abstention from Councilwoman Emily Jabbour. There's video and more to come. It's here. A twofer on the local Hoboken government side with proposed tax increases and the recently approved dynamic parking increase retreats is official. 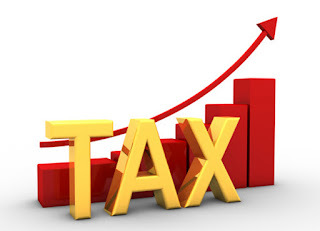 As exclusively reported on Hobokenhorse.com, the Ravi Bhalla Administration presented its first full-fledged budget to the City Council with an approximate 2% tax increase. Yesterday, the Bhalla Administration sounded the retreat on recent "dynamic" parking meter increases. The Hoboken City Council is expected to sort through the Administration's latest recommendations prior to tonight's meeting. 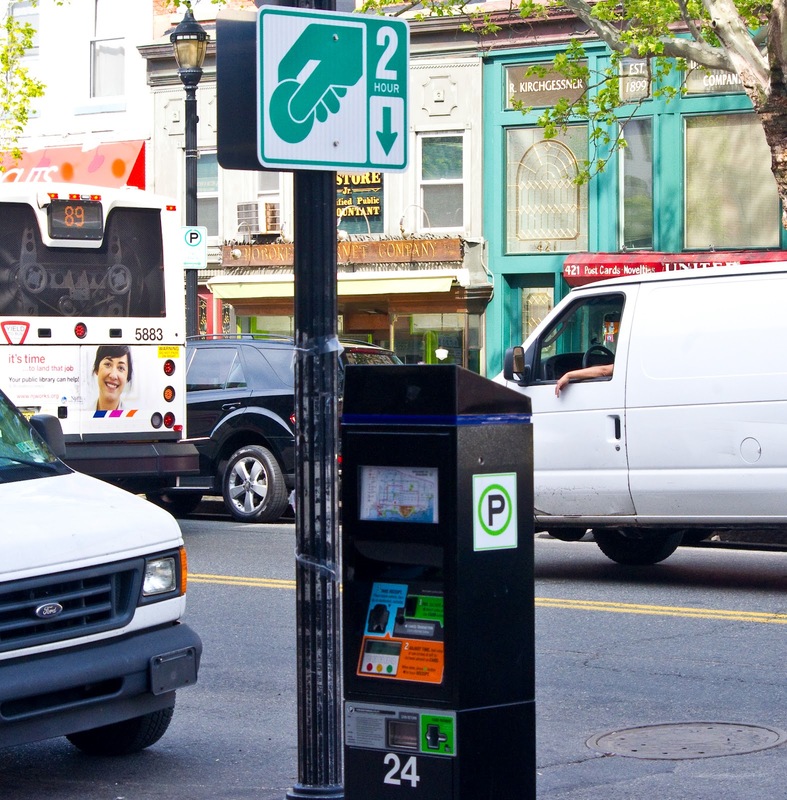 The scramble to overturn the recently passed Administration parking meter hikes will further exacerbate the recent budget crunch. It's not uncertain to what degree it will contribute to a budget shortfall. “Dynamic pricing works in cities like San Francisco, DC or Austin because the surface area of those cities and the parking supply is greater—you have a large cities with all these different parking areas,” said Andrew Impastato, of Hoboken Parking Dude, in a phone discussion with hMAG last week. The days of the Hoboken west side pop up park are ending. Bring back the cranes. If the City Council approves an Administration proposal tonight, one of the biggest spending items in living memory will be tagged on to the Hoboken taxpayers credit card. The City dubs it the Northwest Resiliency Park touting a future capability to trap a million gallons of water. The humongous expenditure is largely driven by work underground in water retention. The public may be dismayed to lose the use of the six-acre pop-up park, a highly utilized recreation area on the west side uptown where useful open space is scarce. More details would be useful but the City of Hoboken website having been overhauled since former mayor Dawn Zimmer's departure has run into some problems. 2019 City Council documents don't appear and worse, members of the public have highlighted there's no preservation of City Council meetings maintained and available as previous on Ustream.com. Talking Ed Note: Is this really a good bang for the buck? $54,000,000? In recent days, some members of the public made comment on a criminal complaint not involving this freedom loving horse. The information and details are in the public domain and a court in Kearny, NJ. Hobokenhorse.com wrote nothing of it, nor about anyone's family or family members, living or deceased. The allegation, stating or suggesting any such thing is false and likely defamatory. 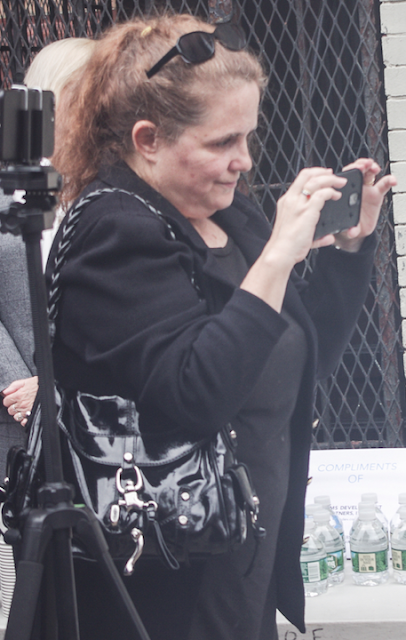 In retaliation, Nancy Pincus, under the guise she's a victim of the public's comments about a criminal case allegedly filed against HER, opted to attack my mother, specifically my mother's funeral. 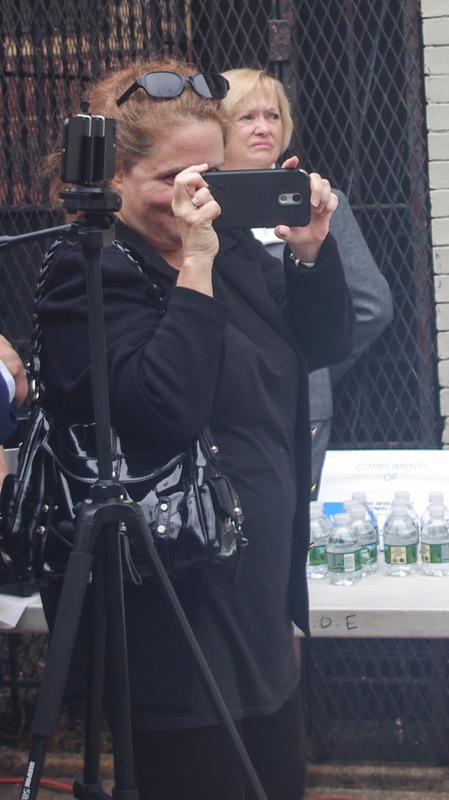 This, on top of the typical fare of fabrications, smears and character assassination she doles out regularly against good people serving the Hoboken community. Their crime: they dare to put Hoboken's interests above her political boss. She has zero interest in the truth and zero interest in any decency. So funny dishing it out, ha ha. So Nancy Pincus enjoys attacking a dead person's wake. What a nice paid political operative you have there Ravi? Being smeared as part of a Russo Clan election hit job tag teaming with Nancy Pincus when you spend a 14 hour day overseeing election integrity is one thing. Accused of criminal activities as an election day challenger, that's par for the course too, right Nancy Pincus? Is there any modicum of decency for this or any of the endless lying, reckless fabrications and character assassination against good government Reform members serving the community. Not. A. Question. Not from this blackened soul with less self-awareness than a glow worm. You're no victim, stop lying and start apologizing. Collecting material for my photoshopping attacks is fun! Then there's this fishy comment. The untold story how Councilman Jim Doyle's resolution against the North Bergen Power Plant died an ugly death courtesy of Mayor Ravi Bhalla and another backroom HudCo deal. Nancy Pincus shockingly announced she'll stop lying for Ravi Bhalla at Sybil's Cave. Well, at least until a new batch of her toxic stew can be brewed up. Update below in the T.E.N - more ugly, vile Sybil fabrications are back! Story to come - Councilman Jim Doyle and the Hoboken mayor's office are being given adequate time to respond for this upcoming story. It's like the third rail on a subway. Everyone's watching but they're not talking. It's that radioactive. Hey, no FacePunching! Once again Nancy Pincus cannot stop herself from lying and smearing, so this is an interim update. Some of her latest reckless lies are addressed in the captioned photo below. Last October, Councilman Jim Doyle, a lawyer with the Environmental Protection Agency drew up a resolution against the pending North Bergen natural gas power plant. The proposed power plant will provide power to New York City. No one questions why Doyle would put up the symbolic resolution as he's pushed for banning plastic bags in Hoboken back to the Zimmer Administration. What Doyle and the public didn't know is the resolution, which may have passed quietly without comment by his council colleagues was heading to an incinerator of its own. North Bergen Mayor Nick Sacco who doubles as a NJ State Senator holds an annual ball in homage to himself. Mayor Ravi Bhalla, having cut a political deal earlier with his years long rival, Union City Mayor Brian Stack who also holds a seat as NJ Senator elected to deep six Doyle's resolution as part of another political backroom deal with his North Bergen rival. When Stack enjoined Jersey City Mayor Steve Fulop in an attempt to win control over the Hudson County Democratic Committee and by extension Hudson County, he enlisted new Hoboken Mayor Ravi Bhalla to his cause. While the effort would eventually fail in a rowdy public contest, Bhalla extracted political support from Stack in November's upcoming Hoboken council ward races. What that support will mean is anyone's guess. It doesn't preclude other yet unknown pieces in the unspecified deal. 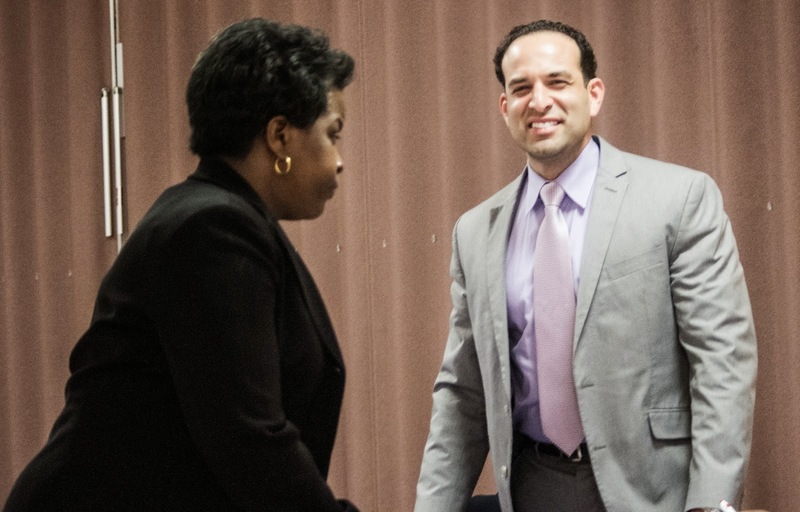 While the mayor's office has repeatedly declined comment on the matter, Ravi Bhalla yanked Doyle's resolution off the October City Council agenda - without telling him. Doyle, who also has declined public comment about his now incinerated resolution to date remains silent on any reintroduction. Members of the public have raised the matter about the North Bergen Power Plant and their opposition in succeeding meetings during public portion. More recently, word of two secret meetings between Ravi Bhalla and "Uncle Nick" Sacco has leaked out. A reliable source communicated earlier this year of the meetings between Bhalla and Sacco. (Contrary to the endless misinformation/fabrications from Nancy Pincus on her dead Bhalla blog, this story and the source come at the county level and have nothing to do with Councilwoman Tiffanie Fisher.) 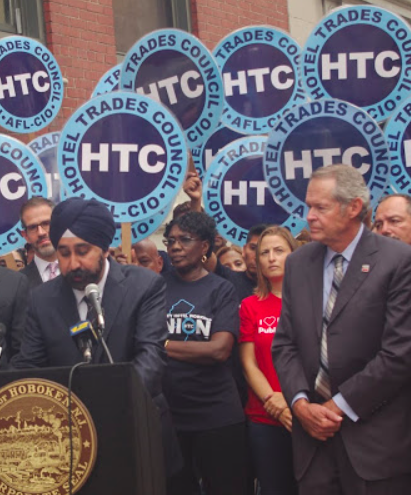 According to this senior source, Bhalla sought to politically extract advantage for at least the upcoming Hoboken council ward elections later this year. The outcome of the discussion and the full details, however, remain outstanding. Less of a secret across the county and parts of Hoboken in all the power-brokers backroom dealing is Ravi Bhalla angling to get hold of the congressional seat currently held by Albio Sires. It's unknown how much traction Bhalla gained with both Stack and Sacco who would be the critical deciders when the seat comes up. He's selling his money network as an advantage. Did I see selling? Maybe I meant trading? Sires' congressional seat is the prize Ravi Bhalla currently holds in the twinkle of his eyes. And Councilman Jim Doyle is mere fodder along for the ride. Poor Jim. Neither Councilman Jim Doyle or the mayor's office responded to questions this morning seeking comment for this exclusive feature. are due to your endless smears coming back to you. Do you ever tire of lying about others? 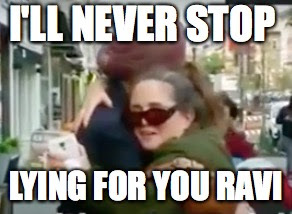 Ever? 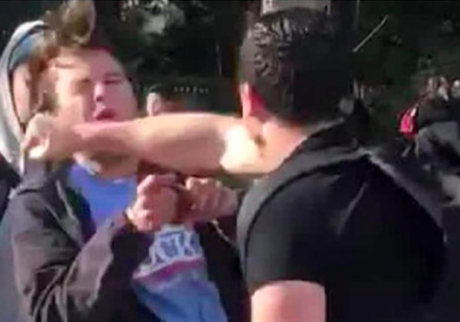 Talking Ed Note: Personal attacks in the comments section are not permitted against members of the public but that rule did bend of late but only in one ridiculous personal attack against the Horse himself. MSV has not participated nor endorsed any commenting about any family, criminal complaint filed against them or satirical jokes related to same whatsoever. Nancy Pincus once again owes an apology for more of the baseless smears and fabrications she's infamous for in the Mile Square City. Yes, we all know, fat chance. 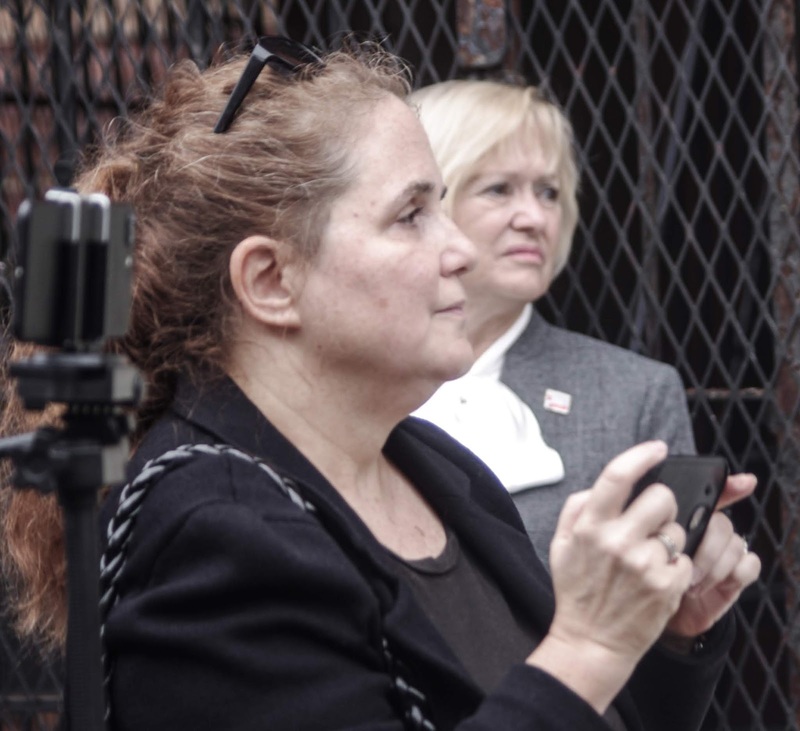 The last time an apology was requested came after Nancy Pincus falsely accused this editor of criminal activities in a Hoboken polling station. It was met with three choice words, "Go to hell." The unhinged are more unhinged than ever. The Hoboken Resistance uncovered how Nancy Pincus was a paid political operative for Ravi Bhalla. So you know Ravi, as the December 2017 story aptly stated, you own this Sybil's Cave trainwreck. Oh and you FacePunchers in the mayor's office too. Disgraceful!